US-backed Cult Leader to Address Thai Followers in Cambodia. 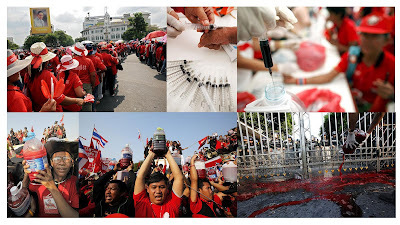 Update: May 19, 2012 - While it is often called Thailand's "pro-democracy" movement, the "United Front for Democracy against Dictatorship" (UDD) or simply the "red shirts" have all the markings of a Pol Pot-esque personality cult and have already demonstrated a capacity for extreme violence and hysteria on par with any tale told of Kim Jong Ill's North Korea. 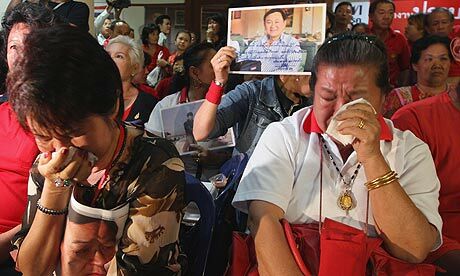 Video/Photo: Unlike in North Korea where tears were shed for "Dear Leader's" passing, these devotees to Thaksin Shinawatra, whose picture they clutch, are actually shedding tears for a court seizure of $1.4 billion of Thaksin's personal assets, criminally procured while holding public office. The video can be found here. The UDD are devotees of Wall Street-proxy, billionaire, and former Thai prime minister Thaksin Shinawatra, who has for decades served a pro-Western neo-liberal agenda of eroding Thailand's nationalist institutions and replacing them them with Wall Street and London-funded "civil society" networks. 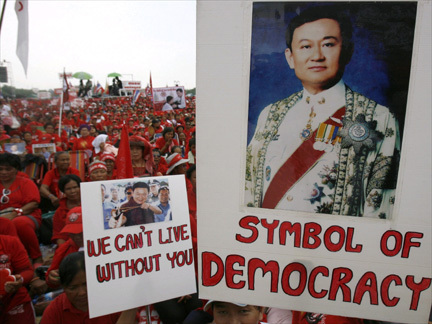 Thaksin, who served as Thai prime minister from 2001-2006 was ousted from power by a military coup. He has since used the UDD as cannon-fodder for an increasingly violent bid to return to power and steer Thailand back on course toward foreign servitude. In perhaps the most bizarre stunt to date, Thaksin is planning a mass pilgrimage for his Thai devotees to meet him, ironically enough in neighboring Cambodia, the crime scene of Pol Pot and his Khmer Rouge's (Red Khmers) genocidal rise to power. It is more than mere coincidence that Thaksin's cult of personality also identifies with the color red, is being hosted by Cambodian "president for life" Hun Sen, a former Khmer Rouge henchman himself, and is cultivating what for all intents and purposes is a modern day version of the Maoist-styled Khmer Rouge. Both movements were created to overthrow historical, indigenous national institutions, both were funded from the beginning by the West eager to overwrite both nations culturally, socially, and politically. Video/Photos: Blood for the Billionaire. 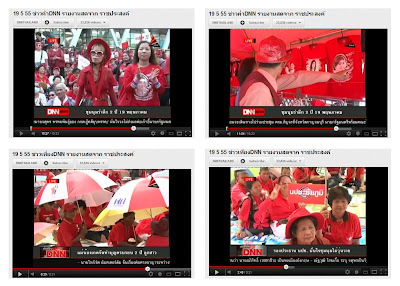 This is perhaps a close second for "most bizarre stunt" carried out by Thaksin's cult of personality. A "blood protest" carried out shortly after Thai courts seized billions of Thaksin's ill-gotten assets. Note in the photo montage the man in the lower left, around his neck is a Thaksin Shinawatra amulet. It is scenes like this where cult-like devotion transcends reasonable protests and ascends into the realm of the bizarre, dangerous, and irresponsible, especially when it is abundantly clear it is being carried out in the name of a man, not the pursuit of any given principle. AFP reports in their article, "Ex-Thai PM Thaksin to address rally in Cambodia," that ""tens of thousands" of supporters in total are expected to greet Thaksin" in both Cambodia and another planned appearance in nearby Laos. And while AFP mentions the "warm ties" Thaksin maintains with Cambodian dictator Hun Sen, it fails to mention that Hun Sen has for years allowed Cambodia to serve as a staging ground for Thaksin's Wall Street-backed subversion. Thaksin's political proxies have fled to Cambodia for refuge after failed armed insurrections in both 2009 and 2010. Photos: Top: Machete wielding thugs during 2009's failed insurrection. Bottom: The establishment of politically exclusive zones called "red villages" and "red districts" where Thaksin is literally declaring political monopolies and intimidating opposition from expressing themselves. 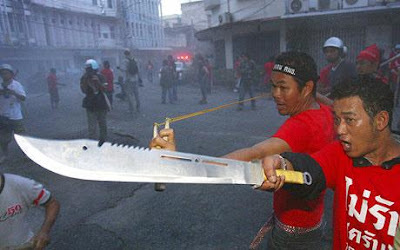 While the UDD denies this is their intent - there have been horrific incidents of violence throughout UDD's northeast epicenter of support, including the infamous hacking to death of a radio DJ's father after speaking ill of the UDD - covered in an interview with red shirt propagandist Kanyapak Maneejak (DJ Aom) of the UDD's Chiang Mai Rak 51 faction. Kanyapak states that red shirt mobs were simply "following their hearts" when they butchered the old man outside the gates of his own home. 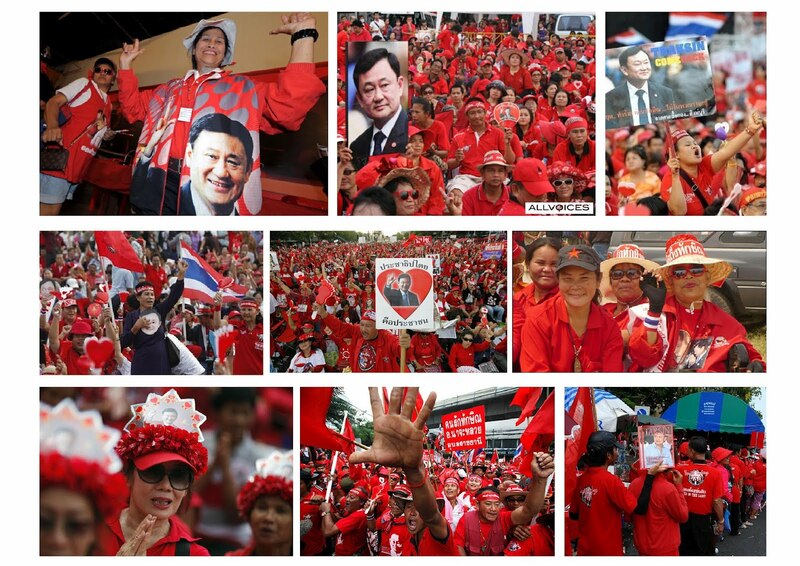 Thaksin's "red shirts" are indeed led by a clique of self-confessed Maoists who are systematically building up a "people's power" movement built on political indoctrination camps and politically exclusive zones called "red villages," and now "red districts." This is done in accordance to Maoist "people's war" doctrine of politically monopolizing villages, then towns, then cities, and eventually entire provinces - a goal eagerly admitted to by UDD leaders. Anond Sangnan, the UDD's "secretary-general" in Thailand's Udon Thani province admitted in a Reuters interview that eventually, "the bigger goal is to carve out entire red districts and provinces." Just like Cambodia's Khmer Rouge, Thaksin and his Wall Street sponsors plan to subvert Thailand's 800 year old royal institutions, the nationalist Thai military, and any form of political opposition - permanently and violently. And while Thakin's political devotees and their agenda are described in terms of indigenous democratic aspirations, in reality Thaksin and his movement have been, and still are servants of Wall Street and London. Thaksin was a former Carlyle Group adviser, and recipient of extensive US backing, including lobbying services from fellow Carlyle member James Baker and his firm Baker Botts, warmonger Robert Blackwill of Barbour Griffith & Rogers, and PNAC signatory Kenneth Adelman of Edelman. 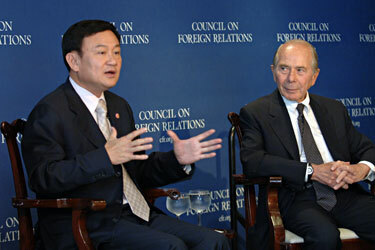 During Thaksin's term in office from 2001 until a coup ousted him in 2006, upon the eve of which he was literally reporting to the Council on Foreign Relations in New York, he had committed Thai troops to the US invasion of Iraq and allowed the CIA to use Thailand for its abhorrent rendition program. Photo: Deposed Thai prime minister, Thaksin Shinawatra sitting before the Council on Foreign Relations on the eve of the 2006 military coup that would oust him from power. Since 2006 he has had the full, unflinching support of Washington, Wall Street, and their immense propaganda machine in his bid to seize back power. 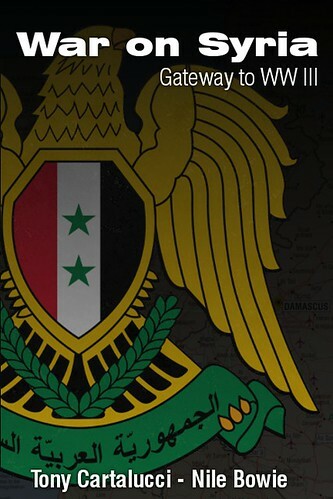 Thaksin has been living in self-imposed exile primarily in Dubai since being convicted and sentenced to two-years in prison for corruption. He runs his proxy political party through his own sister who was just recently elected as Thai prime minster with much backing from the West. 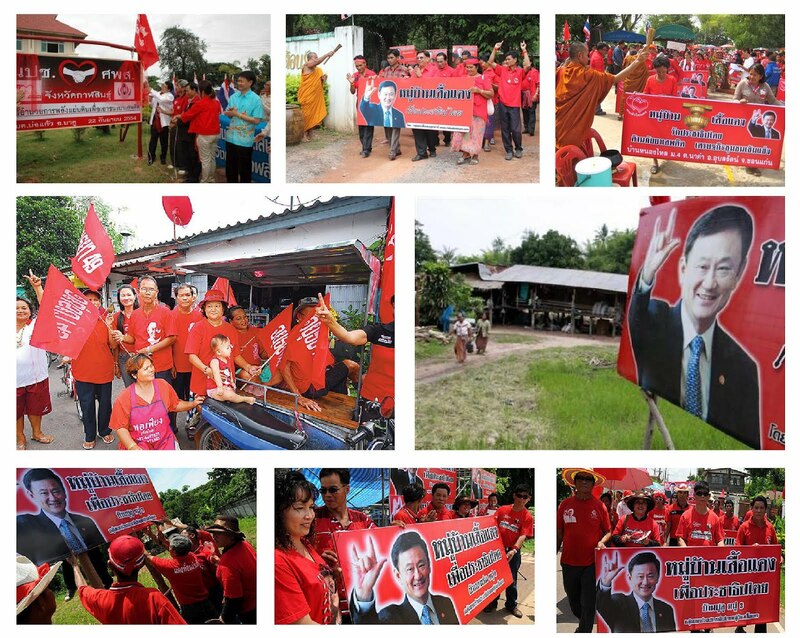 While "democratic" aspirations are described as the primary motivation of the UDD's "red shirts" it is clear that it is a personality cult hinging entirely on Thaksin Shinawatra - so much so that bizarre, unprecedented stunts such as moving tens of thousands of impressionable, horribly exploited rural people across the border into Cambodia are done to bolster a movement that otherwise has no real political underpinnings. 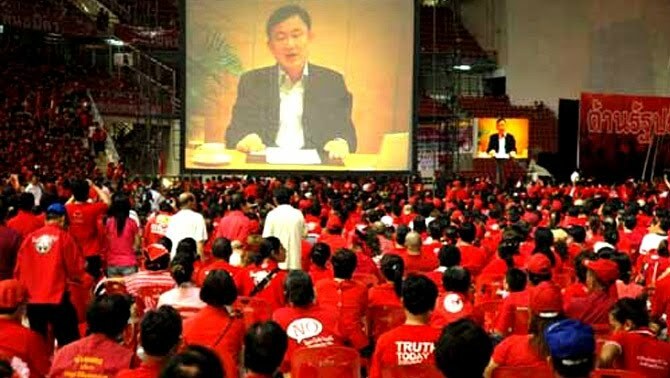 In addition to direct support for Thaksin and his UDD, the US openly funds a network of fake-non governmental organizations (NGOs) like "Prachatai" to peddle propaganda on behalf of members within Thaksin's movement as well as movements operating on Thaksin's political peripheries, like the fraudulent "Nitirat" group. Of course, folding Thailand into Wall Street and London's neo-liberal unipolar world order is just one goal of getting Thaksin back into power. 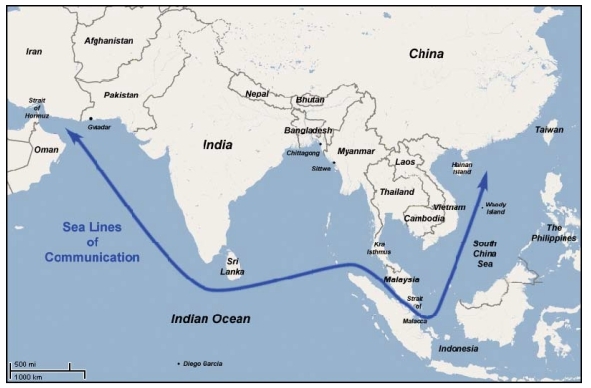 The greater geopolitical goal is to create an alliance of Southeast Asian nations to hinder the rise and expansion of China while serving Western corporate-financier objectives. 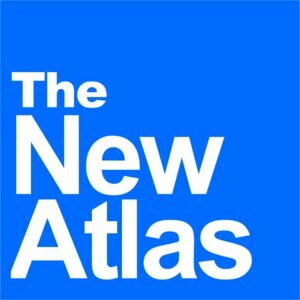 This was described in great detail by US policy wonk Robert Kagan who in his 1997 report, "What China Knows That We Don't: The Case for a New Strategy of Containment," claimed proxy regimes will have China "play Gulliver to Southeast Asia's Lilliputians, with the United States supplying the rope and stakes." Two of these "Lilliputians" are Thaksin's sister and current Thai PM Yingluck Shinawatra and Aung San Suu Kyi in neighboring Myanmar (Burma). This concept of realigning Southeast Asia behind US hegemonic aspirations in Asian was repeated again more recently by US Secretary of State Hillary Clinton in a Foreign Policy article tilted, "America's Pacific Century." Image: Top: The "Lilliputians" though small in stature were collectively able to tie down the larger Gulliver from the literary classic "Gulliver's Travels." In the same manner, the US wants to use smaller Southeast Asian nations to "tie down" the larger China. Bottom: From SSI's 2006 "String of Pearls" report detailing a strategy of containment for China. While "democracy," "freedom," and "human rights" will mask the ascension of Thaksin and others to power, it is part of a region-wide campaign to overthrow nationalist elements and install client regimes in order to encircle and contain China has been long underway. This "new strategy of containment" manifested itself fully when Thai PM Yingluck Shinawatra and Thai Foreign Minister Surapong Tovichakchaikul (Thaksin's cousin through marriage) pledged full support for the US agenda throughout Asia including a nuclear non-proliferation act opposed by China and the sovereignty-crushing Trans-Pacific Partnership (TPP) economic integration. Yingluck has also pledged support for US designs toward Myanmar, ahead of Secretary of State Clinton's visit with Aung San Suu Kyi last December. Previously, during Yingluck's brother Thaksin's regime, Thailand, and in particular, the northern city of Chiang Mai, played a pivotal role hosting US corporate-funded "NGOs" working to foment sedition, unrest, and eventually regime change in neighboring Myanmar. Should Thaksin manage to continue growing his violent cult of personality, the West may succeed in overwriting Thailand culturally, historically, socially, and politically just as the US-backed Khmer Rouge did to Cambodia. Cambodia today is a nation bent in absolute servitude to Wall Street and London, with nearly 50% of its territory belonging to foreign speculators and units of its military pawned off as private mercenaries to protect the holdings of foreign corporations. This will be Thailand's fate, and indeed the fate of Southeast Asia if Western hegemonic aspirations are not exposed and foiled - holding dire consequences for the region, particularly China, and tipping the balance of global power further in favor of Wall Street and London. Update: May 19, 2012 - To commemorate political unrest created and led by Thaksin and his political clique, his "red shirt" movement blocked off one of Bangkok's busiest intersections for over 24 hours, and after weeks of claiming the "people's power" movement was independent of both the Thaksin's political party, Peua Thai, and Thaksin himself, the rally on Saturday was centered around a giant TV screen to host a live call-in from Thaksin Shinawatra. 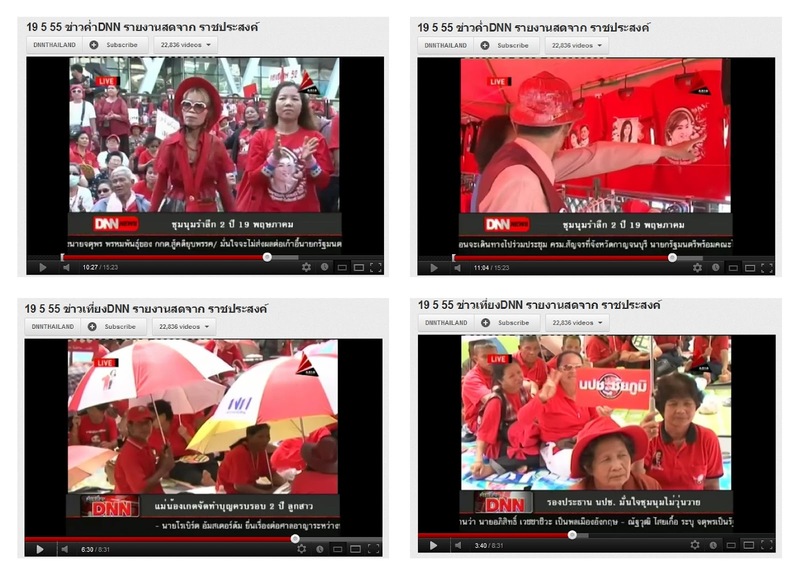 And despite claims that the "red shirts" have moved beyond Thaksin, the crowd could be seen still wearing the same "Thaksin paraphernalia" as they've donned all along, and this time, also including Thaksin's sister, Yingluck Shinawatra, who is currently serving as proxy-prime minister in her brother's stead. 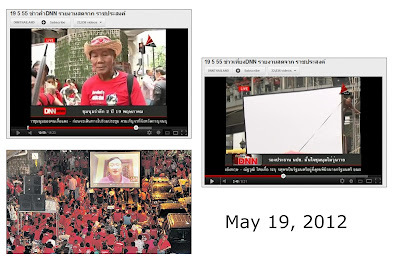 Images: Taken May 19, 2012, protesters who are claimed to have "abandoned' Thaksin and represent a truly "independent" "pro-democracy" movement, can be seen donning images of Wall Street proxy Thaksin Shinawatra and his sister, installed via overt nepotism to hold his place, while hiding overseas evading a 2 year jail term and attempting to push for a constitution rewrite that will allow him to return to power. Paraphernalia included "I love Thaksin" headbands, t-shirts featuring Thaksin and his sister Yingluck, banners, signs, and even umbrellas emblazoned with both Thaksin and Yingluck's images as well their political party's logo.